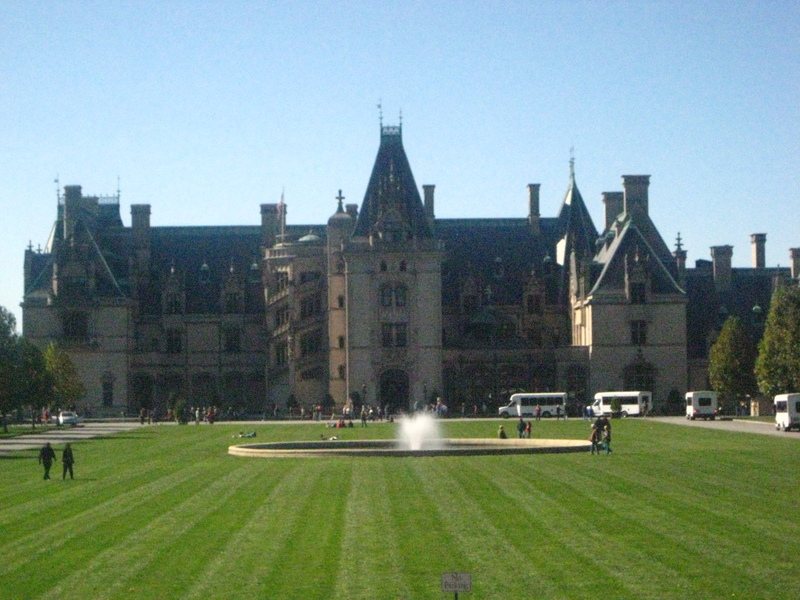 After weeks of debating on should we or shouldn’t we, we finally took the plunge and drove to Asheville, NC for a family get-away at the Biltmore. What a fabulous decision that was! You can do HOURS of walking in that mansion and still not see everything there is to see. We decided to take three guided tours plus walked through the house on a self-guided tour during our stay. The facts we came away with! The mansion itself encompasses 4 acres, there are over 200 rooms, 35 of which are bedrooms, 43 are bathrooms, there is a complete pool and gym in the basement, the house is the only one that was wired for both AC and DC electrical currents, although each guest suite has its own private bathroom with bathtub and toilet, there is no sink to be found in any of the bathrooms because back then they thought it more sophisticated if you had a servant bring you water for your washbasin instead. Ladies, you changed outfits at least 6-8 times depending on the activity you would be doing, while gentleman, you had at least 4-6 outfits per day. Yes, there was an outfit to wear for breakfast, one for lunch, one for walking in the house, one for dinner, one for walking outside, and one for riding horses. I would be exhausted by noon if I had to change out of those clothes! Although each room had a bathtub, baths generally were only taken once a month because they thought water was harmful to your skin. The house had its own fire alarm system and its own intercom and phone system. They are still trying to figure out how their internal phone system was wired and how it still works. We saw the inner workings of one of the phone boxes and it was an electrician’s nightmare! The house was last lived in by a family member in the mid-50’s. It originally had 125,000 acres (or 200 square miles) but was eventually reduced to just 8,000 acres (can you imagine?). The food was exquisite. And you know me and food! I took a picture of my first meal at Cedric’s Tavern in Antler Hill Village. 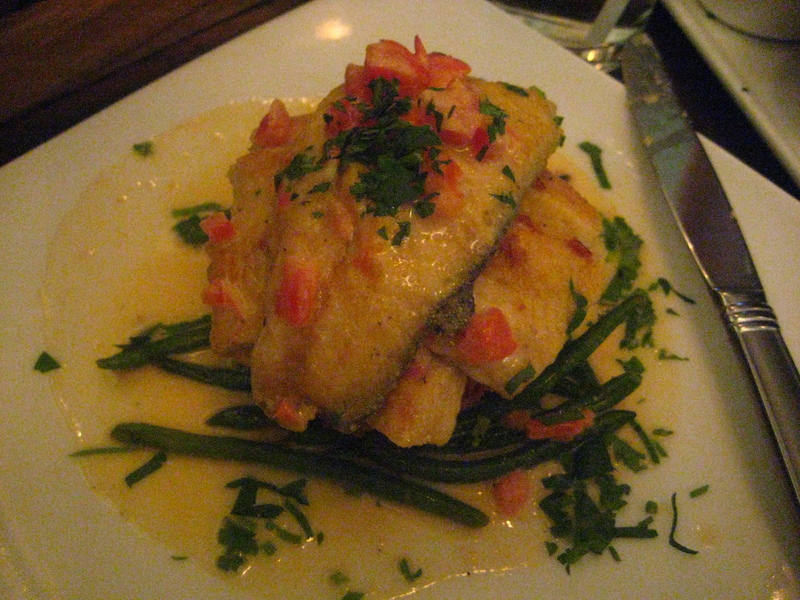 It was fresh trout served on a horseradish potato cake over haricort verts and a butter sauce to top it off. It was heaven on a plate. D and L did the fish and chips. You should have seen their faces when they saw their plates! That was the largest portion of fish I had seen in a while. D and I did a bit of wine tasting the following day and I went crazy over their Limited Release Malbec. I do have more pictures to post, but it’s getting late. I’ll upload the rest this weekend so that you “travel” along with us.